Hello Thursday! Earlier this week I got a request to show inspiration for a small living space. 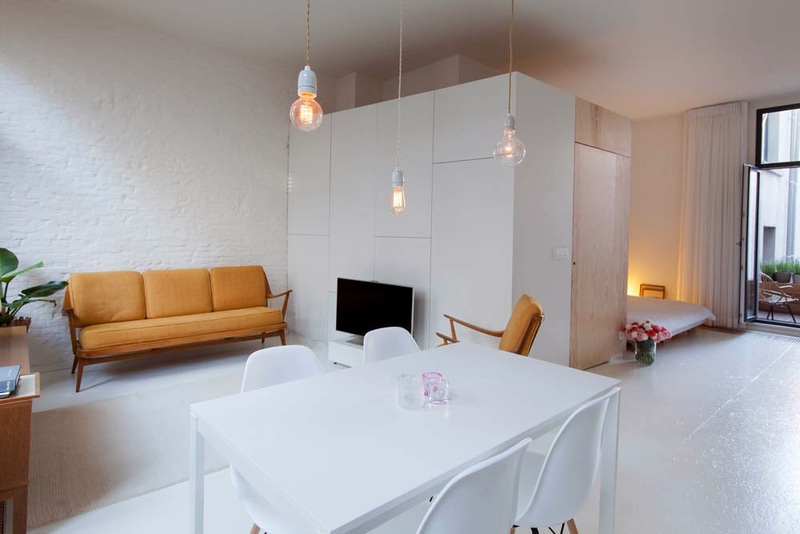 I was having fun working on Pinterest this morning and found this perfect little living space in Antwerp owned by Caroline. 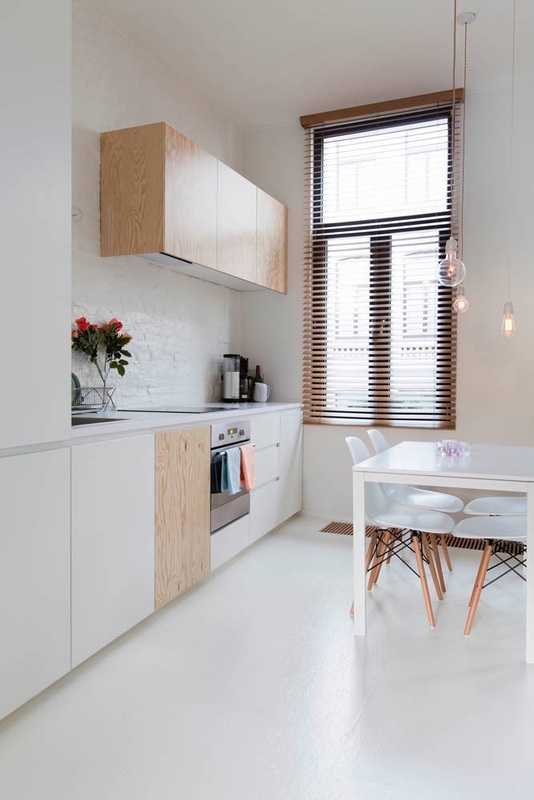 With the help of architect Katrien Van Doren, Caroline has turned what could have been a fairly cramped space into a beautiful, spacious home full of smart solutions. I could live here, could you? 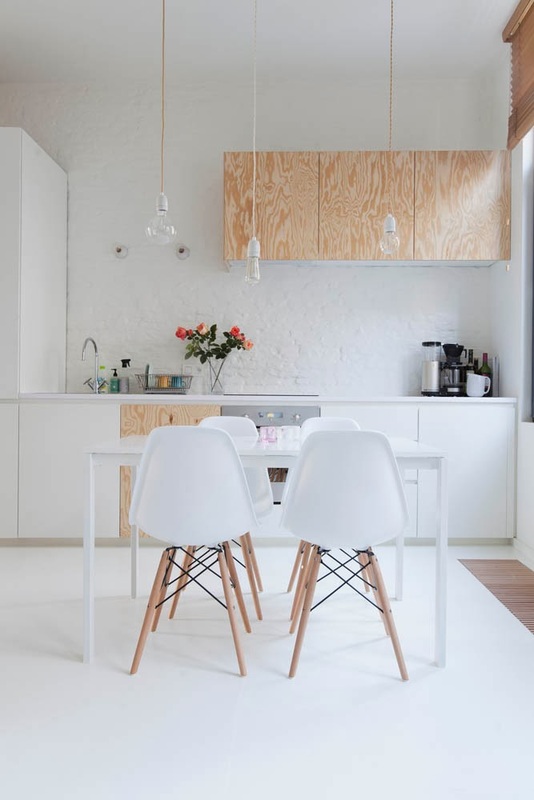 I love the use of plywood throughout the home - both as kitchen cabinets and as room dividers. The important thing about this space (in my eyes) is that Caroline has been careful to divide up the space into specific areas such as a sitting room, dining, and bedroom despite space limitations. 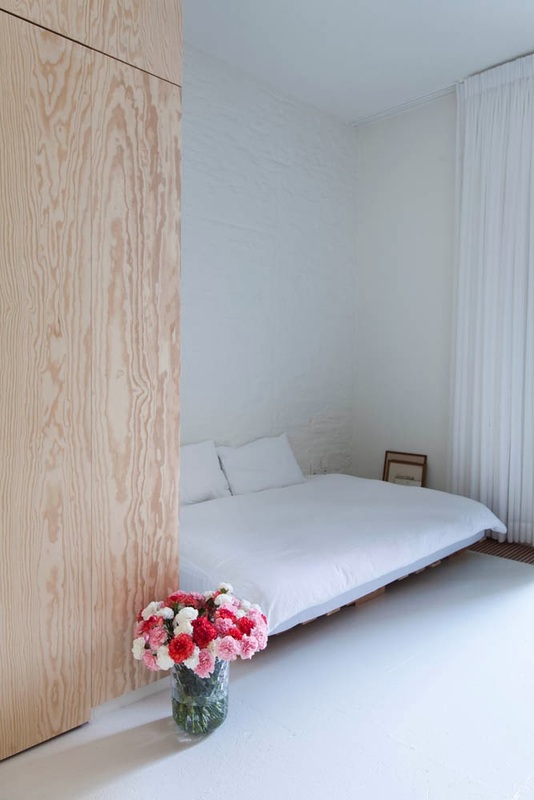 And although much of it is all white, the different textures create interest and warmth. Is there anything else you notice about this space? Thank you to Merel of Studio Birdy for your help with this piece. If you'd like to see another home with this plywood and white blend check out my neighbour's former home from ATWTP, it's so fantastic! There's also all of these homes labelled under 'decorating with plywood'. And for more small space inspiration I'm loving this and this home. Have a lovely day / evening.